Waste-to-energy (WtE) or energy-from-waste (EfW) is the process of generating energy in the form of electricity and/orheat from the incineration of waste. WtE is a form of energy recovery. Most WtE processes produce electricity and/or heat directly through combustion, or produce a combustible fuel commodity, such as methane, methanol, ethanol or synthetic fuels. 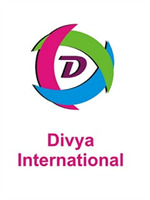 Here is the article by Divya International which will give the whole analysis of Indian Waste to Energy Market. No comments were found for Indian Waste to Energy Market Set for Growth . Be the first to comment!